Czech-Macedonian Left Winger and Left Back soccer player who was voted Czech Footballer of the Year in 2007. He began his career in 1994 as a player for the Czech football club, Banik Ostrava. 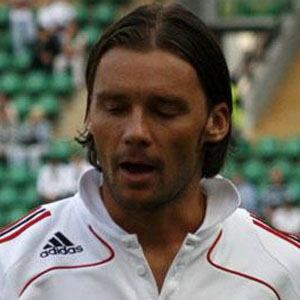 He played for two Italian football clubs (Napoli and Udinese) in the early 2000s. He married Jana Jankulovska, with whom he had two daughters. He and fellow Czech footballer, Jan Koller, both retired from the sport at the beginning of the second decade of the 2000s.